Individuals and businesses across Southeastern, PA will appreciate the convenience of using new and used forklifts from Sam’s Mechanical Service. In addition to forklift and lifting equipment sales and rentals, we supply specialized forklift service and parts. Call 717-442-9334 for prompt, courteous assistance! As authorized forklift dealers, we offer some of the most attractive prices in this region on a variety of new and used UniCarriers Forklift models. We also carry many previously-owned forklifts and items of lifting equipment manufactured by other leading companies, too. You’ll discover acclaimed manufacturer names such as Bobcat, Case, Hyster, Kubota, and more in our inventory. Whether you require new or used equipment, we offer a great place to find pneumatic forklifts, electric forklifts, cushion tire forklifts, telehandlers, man lifts and cranes, skid loaders, pallet jacks, combilifts and side loaders, and miscellaneous lifting equipment. 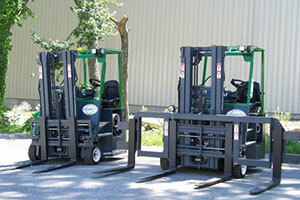 View our forklifts for sale! Use our specialized forklift rentals to perform a variety of lifting and warehouse transportation tasks safely and effectively. Whether you utilize this equipment on the farm, at a construction site, on a tarmac, or in an industrial setting, forklifts offer a reliable way to elevate bulky or heavy items. They reduce the time required to complete a variety of tasks. 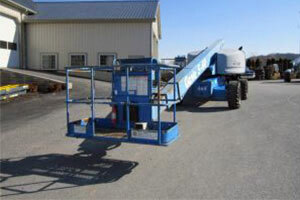 Sam’s Mechanical Service provides a convenient local rental source for these items of equipment. 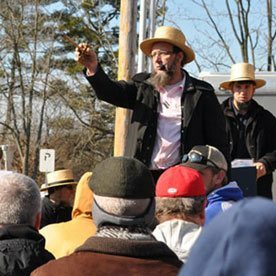 Check the availability of rentals in our inventory easily online through our search page. 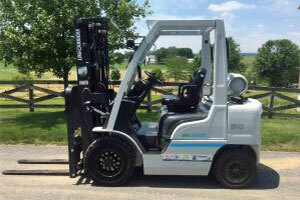 See our available forklift rentals. Our expertise as forklift dealers ensures we can also offer knowledgeable forklift mechanical service. 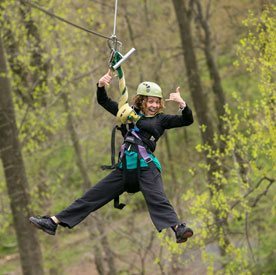 We maintain a well-equipped service center in Narvon, PA for your convenience. It includes the specialized equipment required to perform periodic maintenance and repairs on many different brands. Contact our repair service to send skilled technicians to inspect and help maintain your forklifts and lifting equipment in York, Harrisburg, Lancaster, Reading, West Chester, and Lebanon. We also offer many forklift parts, from seats and engines to specialized skid loader and forklift tires. Use our service to help keep your equipment in good working condition. Need a lift? Contact us today!